Joan Miller was born in 1918. After leaving boarding school at 16 she found work in an tea-shop in Andover. This was followed by the post of an office girl at Elizabeth Arden. Later she was promoted into the Advertising department. Just before the outbreak of the Second World War Miller joined MI5. At first she worked under Lord Cottenham who headed MI5's transport section. However, it was not long before she was recruited by Maxwell Knight, the head of B5b, a unit that conducted the monitoring of political subversion. Knight explained he wanted her to spy on the Right Club. This secret society was an attempt to unify all the different right-wing groups in Britain. Or in the leader's words of "co-ordinating the work of all the patriotic societies". In his autobiography, The Nameless War (1955), Archibald Ramsay , the founder of the Right Club, argued: "The main object of the Right Club was to oppose and expose the activities of Organized Jewry, in the light of the evidence which came into my possession in 1938. Our first objective was to clear the Conservative Party of Jewish influence, and the character of our membership and meetings were strictly in keeping with this objective." By 1940 Miller had become one of the most important figures in the Right Club. Maxwell Knight asked Miller to keep a close watch on Anna Wolkoff who was suspected of being a German spy. Wolkoff ran the Russian Tea Room in South Kensington and this eventually became the main meeting place for members of the Right Club. In February 1940, Anna Wolkoff met Tyler Kent, a cypher clerk from the American Embassy. He soon became a regular visitor to the Russian Tea Room where he met other members of the Right Club including its leader, Archibald Ramsay. Wolkoff, Kent and Ramsay talked about politics and agreed that they all shared the same views on politics. Soon afterwards Wolkoff asked Miller if she would use her contacts at the Italian Embassy to pass a coded letter to William Joyce (Lord Haw-Haw) in Germany. The letter contained information that he could use in his broadcasts on Radio Hamburg. Before passing the letter to her contacts, Miller showed it to Maxwell Knight. On 18th May, Knight told Guy Liddell about the Right Club spy ring. Liddell immediately had a meeting with Joseph Kennedy, the American Ambassador in London. Kennedy agreed to waive Kent's diplomatic immunity and on 20th May, 1940, the Special Branch raided his flat. Inside they found the copies of 1,929 classified documents including secret correspondence between Franklin D. Roosevelt and Winston Churchill. Kent was also found in possession of what became known as Ramsay's Red Book. This book had details of the supporters of the Right Club and had been given to Kent for safe keeping. Anna Wolkoff and Tyler Kent were arrested and charged under the Official Secrets Act. The trial took place in secret and on 7th November 1940, Wolkoff was sentenced to ten years. Kent, because he was an American citizen, was treated less harshly and received only seven years. It is said that after being sentenced Wolkoff swore that she would get revenge by killing Miller. Miller also worked in a special department of the Post office that was set up to read letters being sent by perceived subversives. Miller and another agent, Guy Poston, were given the task of breaking into the home of Rajani Palme Dutt, a leading member of the Communist Party in Britain. Maxwell Knight was interested in a locked box that he kept under his bed. However, when they opened the box they discovered it only contained documents about his wedding. After the conviction of Anna Wolkoff and Tyler Kent, Miller began living with Maxwell Knight. However, she soon realised she was being used as a cover for Knight's homosexuality. She left Knight and married Tom Kinlock Jones in June, 1943. Miller now transferred to the Political Intelligence Department (PID). This involved reading and distributing top-secret cables. While in this post she identified a spy who was passing the contents of some of these cables to the Soviet Union. She was later transferred to a unit that controlled the contents of newspapers being distributed in Germany. Joan Miller died in June 1984. Despite efforts by MI5 Miller's daughter managed to get her mother's autobiography, One Girl's War: Personal Exploits in MI5's Most Secret Station, published in Ireland in 1986. One morning Bill Younger... came into my cell with a message from Maxwell Knight, the head of B5(b). I was invited to lunch in the staff canteen with this distinguished MI5 officer who, it seemed, had had his eye on me for some time. Naturally, I was intrigued and flattered. I knew Maxwell Knight by sight and reputation; I was aware that he ran B5(b) with no more than three or four case officers and a secretary, that he was known as 'M' or 'Max', that he cultivated some engaging eccentricities such as smoking long hand-made cigarettes from a little tobacconist's shop in Sloane Street. Rather tall and lanky, with a Wellingtonian nose which he referred to as 'my limb', always dressed in stylishly shabby tweeds, he made a conspicuous figure about the place. I was instantly aware of my good fortune and, at the same time, determined not to let it go to my head. I gratefully accepted the luncheon invitation, though. At twelve-thirty I went into the canteen and saw Maxwell Knight at a table for two in the comer of the room. He got to his feet as I approached; even before he spoke, I was conscious of the charm this smiling man possessed - charm of a rare and formidable order. His voice, which I found hypnotic, confirmed the impression. By the end of that first lunchtime session I was captivated. M. at the time, must have been about twice my age; it's possible, I suppose, that I had been subconsciously on the look-out for a 'father figure' - my own, an amiable, rather weak man who liked to gamble, hadn't exactly come up to scratch as a parent - but there was a great deal more than that to my feeling for M, even at this early stage. 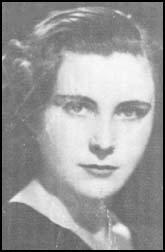 Joan Miller was an attractive young secretary who had joined MI5 from Elizabeth Arden. After a short stay at Transport in Wormwood Scrubs she had transferred to Dolphin Square. The first task that Knight had set her had been to befriend Krishna Menon, the Indian nationalist, but that had not been a success. Her second operation, which involved infiltration of the Right Club, was such a success that it became one of the few of Knight's operations to receive wartime publicity, although outside MI5 Joan Miller always had to be referred to as 'Miss X'. In the middle of May 1940 Joan Miller's infiltration of the Right Club paid an unexpected dividend. Her original task had been to monitor Ramsay's activities together with another MI5 agent, Mrs Amos, and build up a complete list of the members so MI5 could scoop up the whole group, rather than attack it piecemeal. She was completely accepted and trusted by Miss Wolkoff who at one point hinted that any information Joan Miller could remove from her 'dull filing job at the War Office' would be well received. The implication was that Miss Wolkoff was more than a political agitator. By now (1940), things were going badly for England. France had fallen; Mussolini had brought Italy into the war; the Luftwaffe had established its supremacy in the air. As a consequence the Right Club was becoming increasingly incautious about expressing its views. With a German invasion expected at any moment, those who had all along supported Germany's claims believed themselves to be in a strong position. The society was engaged in compiling a list of prominent opponents to the Axis cause: if your name got on to this list you could expect to be strung up from a lamppost once the country was in German hands. I was consulted, I remember, over the question of who was to be classed as a fit candidate for lynching. I don't think I made any very sensible suggestion, but they kept pressing me to name the most vociferous anti-Nazis I had come across. They were adamant that an example must be made of these people to give the rest of the country a foretaste of the strong measures it could expect. After a lot of shifting around at Political Intelligence Department (PID) I finally ended up in a splendid job there - helping to decide the contents of a newspaper planned by us for distribution in Germany once victory had been established. It was meant to appeal to the ordinary reader and wasn't conceived altogether as an instrument of propaganda, although that came into it to a certain extent. It was part of my work to get in to the office very early each morning, and read through the day's papers, placing a large red cross against each news item I considered both interesting for its own sake, and liable to procure a proper impression in the mind of a German reader. At ten o'clock each morning I joined the editors or deputy editors of all the English daily newspapers who assembled round a conference table in one of the large offices to discuss the question of what should be allowed through, and what should be censored. Each editor had read his own paper and one or two of the others, presumably, but I was the only person present who had studied the lot. They were all extremely courteous to me and listened carefully while I explained my reasons for picking out certain reports, and feeling dubious about others. They all had their own ideas, of course, and these were debated freely around the table. I was never made to feel conscious of being the only woman present, and my opinions were taken seriously; but I was aware of my own limitations among all these important men of the press and I was careful not to stick my neck out. I learnt a great deal, actually, from all this reading of newspapers; it was particularly instructive to observe the different styles and different methods of reporting the same incident. (Some reports, it was plain, were a good deal more accurate than others.) The Manchester Guardian, for example, was straightforward and down to earth, not greatly given to frivolity or gossip. One Girl's War poses no threat to national security; if other books do and if the Government wishes to take action against them, then that is their business, not ours. The content of One Girl's War has to do solely with events which took place over forty years ago, and we believe that it should be considered for what it is, not for what other books might be. The Government's attempt to suppress One Girl's War is part of a larger project to keep from the British public any information about the operations of the intelligence services and thus to render impossible any public debate on the matter. In the 1960s and 1970s most countries of the western world gradually liberalised public access to information; in the 1980s Margaret Thatcher's Governments have sought to reverse that trend. There are general ideological reasons for this, and there are particular reasons. Between 1974 and 1976 a coalition of right-wing Conservative politicians and elements of the armed forces and of the intelligence services worked secretly to subvert the elected Labour Government led by Harold Wilson. It is not suggested that this coalition was responsible for the demise of the Wilson Government and the installing of Margaret Thatcher as Prime Minister. But the whole notion of such secret activity involving state security services in efforts to undermine the elected Government runs so sharply against the general perception of British democratic tradition that it is hardly surprising if the Thatcher Government is determined to ensure that the full story is never told.